This is my first post. Im as new as new can be to this blogger stuff so bear with me. My love for reloading and leverguns has lead me to start a web journal. I will add things like range reports, ballistics, bullet casting, lots of picts of my Rossi 92. The model 92 and clones are my favorite of all the leveractions. Nothing compares to the smoothness and quick handling in my opinion. There is just something about the 92 I love. 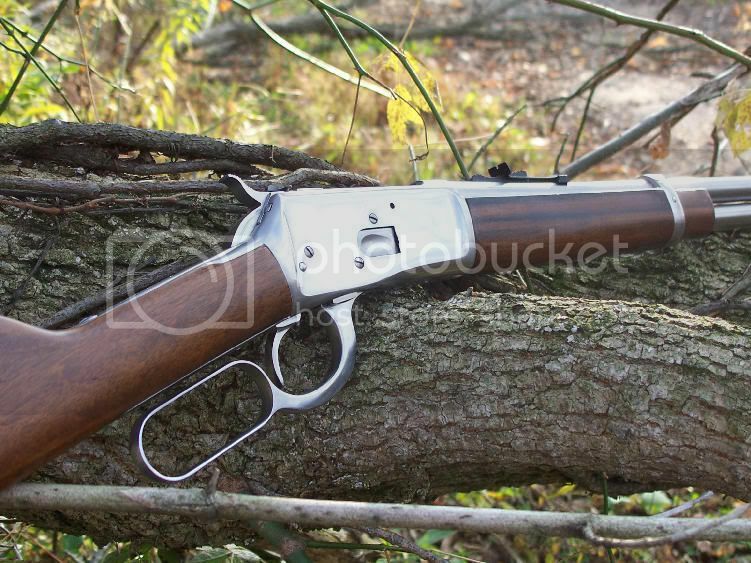 Heres a pict of my Rossi 92 chambered in 44 Mag, Stainless 20" round barrel. Its as slick as snot on a doorknob thanks to the article by Jim Taylor for fieldstripping and smoothing up the action.Heres a link to that great article.Thanks again Jim! Very COOL page Steve !!! I'd love to see a range report on that 30-30! Thanks Phil! I have not even got a chance to shoot it yet, im waiting on getting moulds and such and the time of course.